Are Your Fancy Poker Moves Costing You Money? I’m currently reading Colson Whitehead’s book, The Noble Hustle: Poker, Beef Jerky, and Death, published last year. The premise is that a website (Grantland) has offered to stake him into the World Series of Poker Main Event in exchange for a lengthy article describing his experience — which later turned into this book. That night I played as if those guys knew what I meant by wagering 2.5 times the Big Blind here, betting half the pot on the Turn there. Sklansky, Sklansky, I tried, brother. But what use is my semi-bluff when my nonfiction-writing friend blindly threw chips into the pot, more intent on sharing his story of how his eczema was “really flaring up.” His doctors wrote a scrip for a new topical steroid, what the heck, he’ll try anything at this point. Sklansky, Sklansky, tell me: How can “The Hammer of Future Betting” pierce the armor plate of “Level with me, guys. How old is ‘too old’ for breast-feeding?” I was being outwitted by allergies. “You wouldn’t think it, but there are some not-bad gluten-free beers on the market. It’s my turn? Sure, I’ll throw in two bucks. See, instead of using hops…” If no one’s paying attention to my new, hot-rod playing strategy, does it even exist? The point is that you have to understand how your opponents play and think before you can know how to beat them. I learned this the hard way in one of my first attempts at poker in a casino. At the time, nearly everything I knew about poker was what I had gleaned from Mike Sexton’s commentary on World Poker Tour broadcasts. 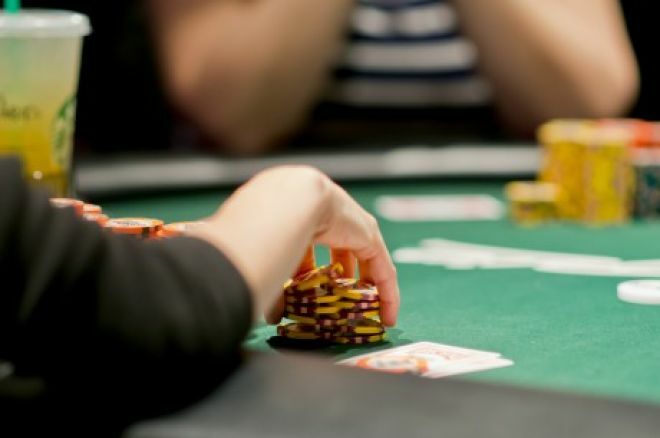 In a tournament, I saw a woman move all in with a complete set of classic signs of strength: leaning forward, putting her chip stacks down emphatically, and the facial expression of the cat that caught the canary. I thought, “A-ha! I recognize this from the WPT. Strong means weak! She’s bluffing!” I called — and lost most of my chips. Most recreational players do indeed try to look strong when they’re weak, and vice-versa. It’s a rank-amateur level of deception, but they seem unable to resist. This woman, however, was even less sophisticated than that. She didn’t think to disguise her hand strength by pretending it was the opposite of what it really was. For her, strong meant strong and weak meant weak. Oops. During my Vegas years, one place I occasionally played was Bill’s Gamblin’ Hall & Saloon, recently refurbished as The Cromwell. Back then, it had the lowest stakes no-limit hold’em game in town, with $0.50/$1 blinds, and a $20 minimum buy-in. Predictably, it attracted the most novice, inexperienced tourists, often people who had never played poker before. I quickly learned that I had to abandon my default strategy for that particular venue. The most essential adjustment was to eliminate bluffing almost completely, which was just throwing money away. The typical player there had zero hand-reading skills. That is to say, those who played the game really didn’t even understand that there was such a thing as reading an opponent’s hand. Moreover, they often had little feel for how strong their own hand needed to be to win — for example, thinking that one small pair was good enough to call a large river bet despite a scary board. Once I had made that adjustment, Bill’s became something of a cash cow for me. It wasn’t much fun playing with no sophistication or deception to my game, but I’ll take the money over the entertainment value every time. So the next time you see an opportunity for a fancy bluff that should work on thinking players, first stop to consider whether that’s who you are playing against. If they are not inclined to read your signals correctly and respond appropriately, don’t bother. Play against them where they’re at — only better.